Aplogizing in advance. I'm not usually so "Look at ME!! ", but I have a few more things that I want to share. 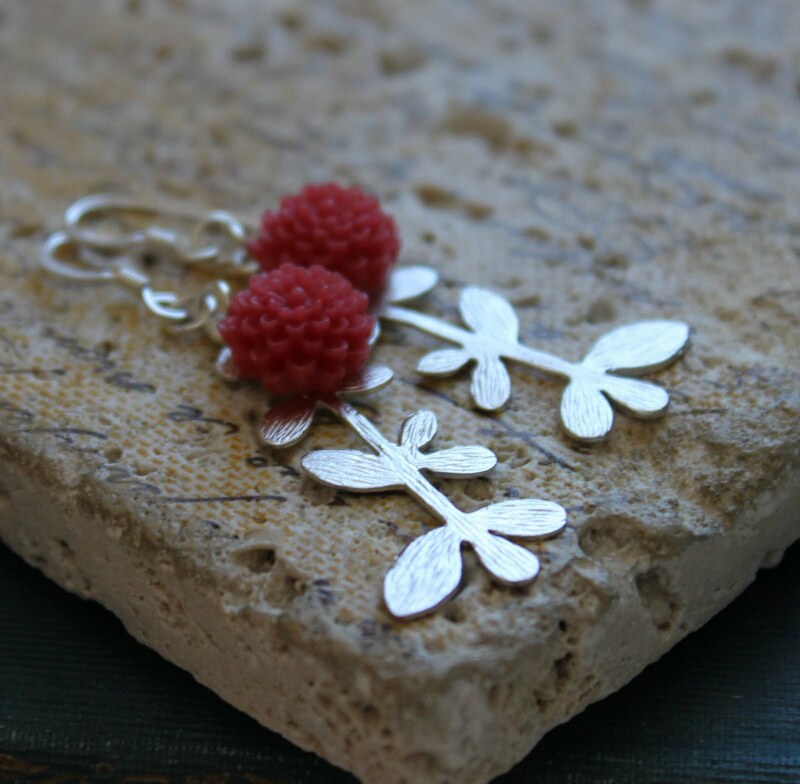 There has been a profusion of new flowers appearing in my shop. 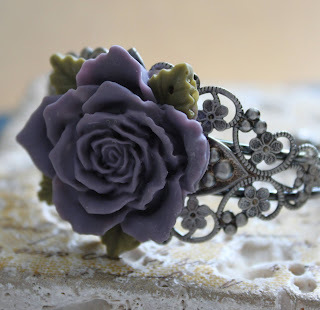 I shared yesterday the new leather flower bracelet. I will hint that you should keep your eyes peeled for variations in this design. And here, today, is another charming design using the same leather flowers. 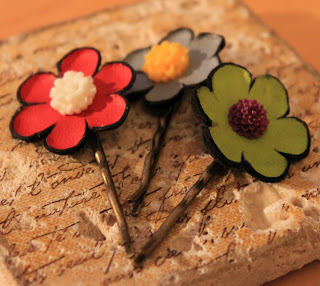 This time they have been paired with a selection of the lucite flower cabochons to make sweet bobby pins. They kinda make me smile. 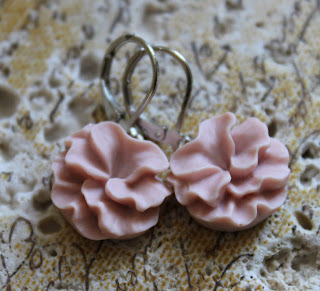 The cabochons have been arriving in sweet new shapes and very pretty springtime colours. If you will, I would like to share a few more with you. These flowers are a new favorite of mine. They look like a ballerina's swirling tutu, and are the perfect pointe toe pastel shades as well. Beautiful faded roses, like those that you would find, dried, in a hidden chest, long-forgotten in an estate's attic. Attached here, to a beautiful filigree cuff bracelet, but soon to find their way into other new styles. The original styles of flowers are also being used in some new and exciting ways. Here I have mated some fabulous hued pinky-red flowers with a matte silver, mod-style vine. There are plenty more styles to come. Most of the items above are already listed in my etsy shop. Just click the photo to find the way.